The Geelong Better Block is over and Jason Roberts, cofounder of The Better Block, has toured Australia and returned to the USA, so what now? Was it just a ripple through our urban fabric or has the spirit of the Better Block inspired others to reclaim our streets on a more regular basis? Jason Roberts, cofounder The Better Block, a not for profit organisation, in Dallas, Texas and recipient of the Champion of Change Award at the White House 2012, visited and recently participated in two Better Block events in Geelong and Melbourne as well as providing key note speeches at the ‘6th Making Cities Liveable Conference in Melbourne and the NSW Government annual ‘Urban Conversations’ in Sydney. 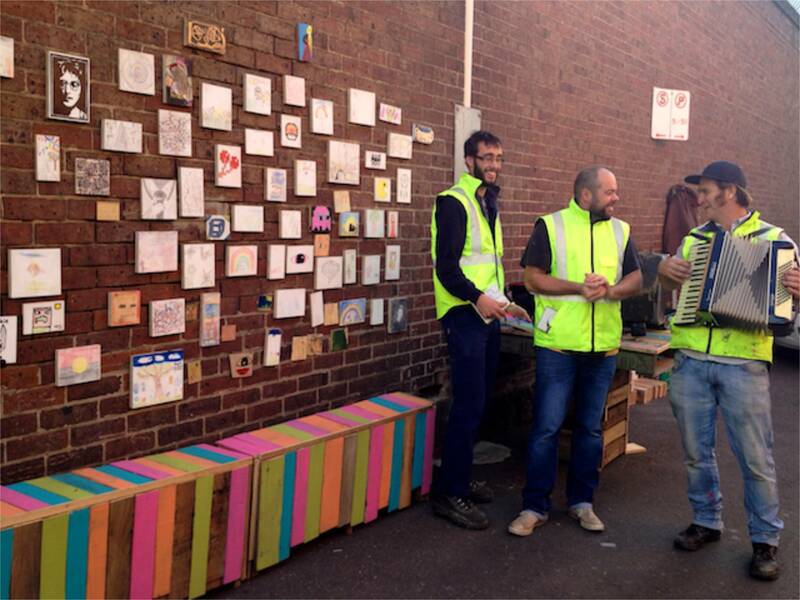 The response from ‘Better Block’ participants and conference attendees were similar, engagement, wonder and joy at finding a process, albeit temporary, that empowered community to activate urban street space within their own community. We are not talking radical ideas here. We are not talking anarchy or riots. We are talking community of families, people old and young from different lives coming together to socialise and help each other. What was similar for both the Geelong Better Block and the Coburg Better Block was that each event was encouraging a safe place for children, sharing of ideas and sustainable ways of life. Interestingly the Australian events were not guerrilla style events, as previously undertaken in the USA, but events coordinated with the support of local council. Was it challenging to organise with council approvals? Yes. Was it based on volunteer hours and resources? Yes. Was it a success? Most definitely. While the ‘Coburg Better Block’ held Sunday 16th June was a residential street closure which was estimated to have attracted 150 people over three hours; the ‘Geelong Better Block’ held on Saturday 15th June attracted more than 800 people over the four-hour period based on a key theme of promoting a safe and walkable city, for a healthy and sustainable Geelong. 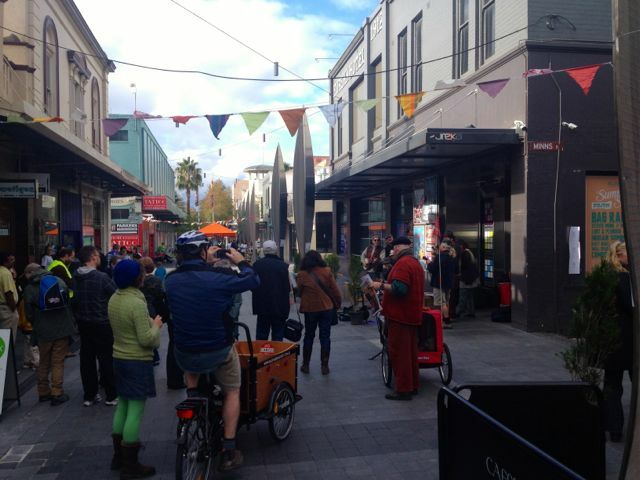 The Geelong event activated two inner city streets with high retail vacancies and very low pedestrian traffic. With over ninety volunteers on the day, not counting the flash mob Ukulele players or the acoustic folk band that showed up mid way through, the day was a huge success for all involved. The event received national media coverage as the first ever Australian Better Block and was highlighted on The Better Block website as well as in Jason’s subsequent conference presentations. With the ‘Clovelly Better Block’ now naming the date for October 27th this year and Jason keen to revisit Australia, one has to ask what next? 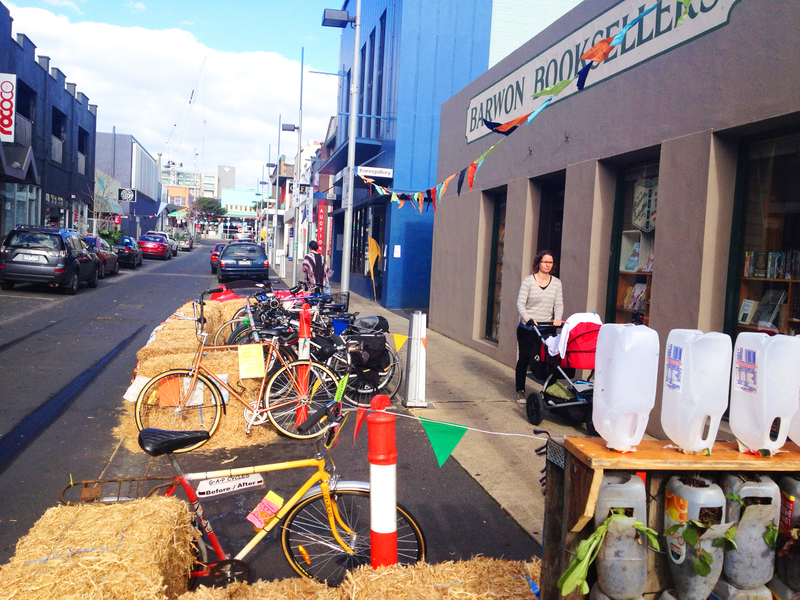 How do we now translate the ideas from a temporary ‘Better Block’ into our cities and communities? There were immediate social outcomes from the Geelong Better Block that included community meeting new people and sustainability based groups; requests for our workshop leaders to run programs in neighbouring communities; and requests for Better Block events in neighbouring towns and suburbs. The more permanent features of the Geelong Better Block may take a little longer to achieve, however conversations with Council are underway. The Geelong Cycling Forum attracted over 100 attendees, with many local bike commuters to hear about cycling issues and proposals to improve cycling in our city. The cycling forum engaged the community and highlighted the need and demand for better bicycle infrastructure in Geelong, slower city car speeds, and a more pedestrian and cycle friendly inner city. Since the event local councillors have spoken publicly about improving cycling infrastructure, thanks to ongoing work by BikeSafe. Responses from our Geelong Better Block event survey indicate that attendees felt safer in the city, found new shops to visit and eat at, stayed in the area to talk and meet with people rather than just passing through and enjoyed the mix of live entertainment and street theatre provided as well as the free children’s (and adults) activities that were based on educating people on how to live more sustainably. We tend to forget that streetscapes form part of our urban spaces and can be used for more than vehicle access and parking. Proactive councils worldwide use regular street closures to activate urban centres, with community activities and markets, developing stronger local community and economy. Listen up Geelong, community want more access to our inner city urban spaces on a regular basis for pedestrian, cycling and community events. The Better Block is here to stay.